Henri Colpi (15 July 1921 – 14 January 2006) was an accomplished editor whose innovative work on Alain Resnais’ Hiroshima Mon Amour (1959) and L’Année dernière à Marienbad (Last Year at Marienbad, 1961), contributed greatly to their dramatic impact. He was also a respected director whose most famous film, Une Aussi Longue Absence (The Long Absence, 1961), won the best film award at Cannes in 1961. The Swiss-born Colpi studied at the Institut des hautes études cinématographiques (The Institute for Advanced Cinematographic Studies), graduating in 1947. During the1950s he worked as an editor, mainly working on short films with directors such as Georges Franju and Agnès Varda. He was the sound editor on Alain Resnais’ landmark Holocaust documentary, Nuit et brouillard (Night and Fog, 1955), contributing to that film’s powerful emotional impact with a carefully balanced mix of commentary and music. Colpi’s collaboration with Alain Resnais on Hiroshima Mon Amour (1959) and Last Year At Marienbad (1961) had a profound impact on the art of editing. By rearranging or editing time, Colpi and Resnais instilled the present with a constant sense of the past and future. On these films he pioneered the use of “flash-ins”: sudden and unexpected images from within the characters’ minds. It was an audacious approach that had a lasting influence on other filmmakers. 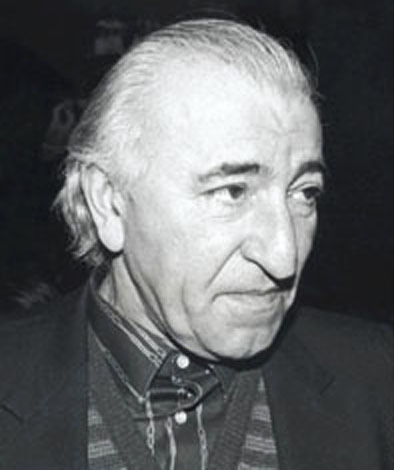 In 1960, Colpi began his parallel career as a director with Une aussi longue absence (The Long Absence), which won the Palme d’Or at Cannes in 1961. This poetic and poignant movie, with a screenplay by Marguerite Duras, tells of a widow (Alida Valli) who owns a cafe in a Paris suburb and meets a tramp (Georges Wilson), who may, or may not, be her husband who had disappeared 15 years earlier in a prison camp. Next, Colpi made two rural dramas shot in Romania: Codine (1962) and the touching Mona, l’étoile sans nom (Mona: a Star without a Name, 1965). None of his films, however, found much favour with audiences. "My first film, I don't know why, was considered a commercial failure. My second was a box-office flop, and my third was a huge disaster," he told Le Monde in 1985. His directorial career was then confined to television. The exceptions were Heureux Qui Comme Ulysse (Happy He Who Like Ulysses, 1970), the moving tale of a farmhand who escapes with his old horse to save it from being sold for bullfights, and L’ile mysteriosa (The Mysterious Island of Captain Nemo,1973), cheaply made in Spain, co-directed with Juan Antonio Bardem, and starring Omar Sharif. In 1982, Colpi worked to help restore a lost 1920 film, L'Hirondelle et la Mesange (The Swallow And the Titmouse). André Antoine had shot six hours of film for this silent melodrama, set on two barges. However, Charles Pathé, the producer, thought it too realistic and it was never released. Colpi spliced and cut the original down to 79 minutes, the result being a fascinating look at a brilliant film from a cinematic pioneer. Colpi, who died leaving no family, was also the author of two excellent books, Dèfense et Illustration de la Musique de Film (1963) and Letters to a Young Editor (1996). Need suggestions? See our list of the Top 10 Films.